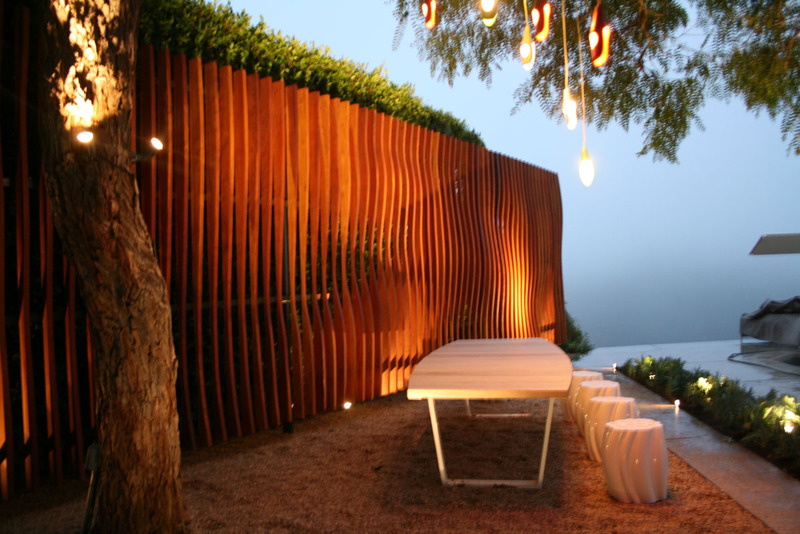 Ilan Dei Studio is in the process of completing a 40′ sculptural wall for a private residence in Los Angeles CA. 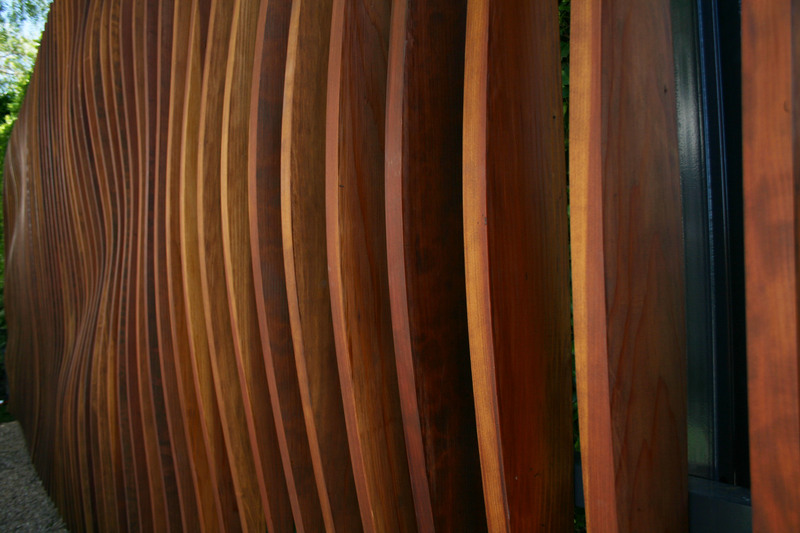 The design was created in Rhino and digital fabricated by processing 2″x6″ Redwood boards on the CNC. The Redwood is set against green vegetation to create a contrast of color and depth that changes as the user walks throughout the property.